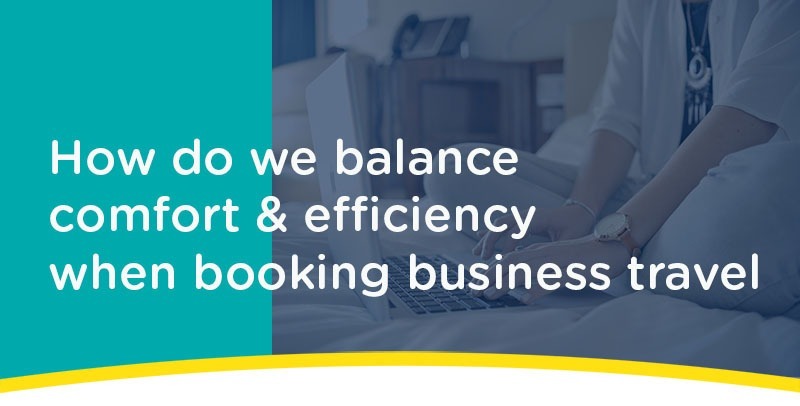 As our Hearts & Minds manifesto outlines, business travel should always be cost and time efficient. As a travel management company, we’ll always crunch the number to find the best fare combinations, time efficient connections and swiftest routes. Before you even begin to pick up the phone or log onto your online booking system, think about what you want to achieve on your trip. If you have multiple appointments you need to attend, can you arrange them at one single location? And if not, how much time will you need in between. Once you’ve established your objectives, the sooner you can book the better. Booking ahead can significantly save money on travel. If you have a set schedule, booking fixed tickets can also help lower costs and you may even be able to use the money saved to bag yourself an upgrade. Picking the right hotel is often an overlooked part of business travel itineraries. City centre accommodation may be more expensive butcould save on taxi travel and enable travellers to eat out, within budget, rather than being restricted to an expensive out-of-town hotel restaurant. No frills accommodation might be adequate for a single night stopover. But a hotel with leisure facilities can make life on the road a lot more bearable during extended periods away from home. Once your travel is booked, assign some time to prepare for your trip. Even as a seasoned traveller it’s important to assess your schedule and ensure everything is in order before you leave. Do you need a visa? Is your passport up to date? If you have a long flight and are headed straight into a meeting after it, do you need to find somewhere to freshen up? Plenty of airports have changing facilities, if not you may need to look into a lounge booking if you feel you could do with a quick shower and change of clothes. If you are a regular traveler, it’s probably worth keeping a bag of essential items at the ready. By singling out the necessary travel items, it can also help reduce the amount of excess you pack, saving you from excess baggage fees and just generally easing your carry load. Our packing tips post recommended making a packing list as a fool proof way to ensure you remember the important items. We mentioned the Wunderlist app, as it has the ability to replicate past lists - meaning you can keep a general catalogue of things you need and re-check every time you travel. Click here to download our Hearts & Minds manifesto and see how we're changing the way we think about business travel.